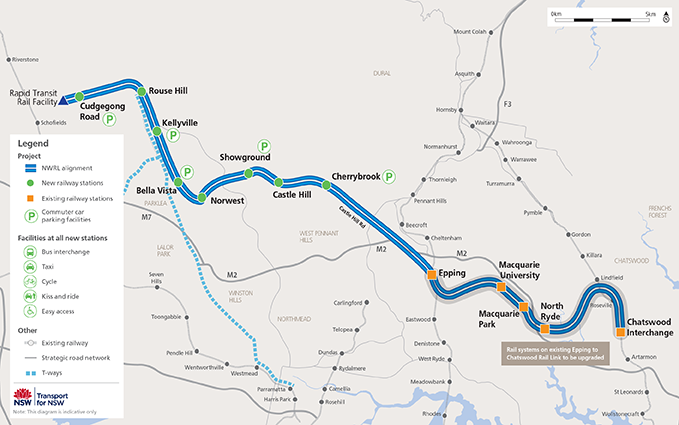 It was revealed earlier today that the Government is making plans for a new Harbour tunnel, which would link a proposed extended Westconnex freeway near the Anzac Bridge to the M2 in Sydney’s North. 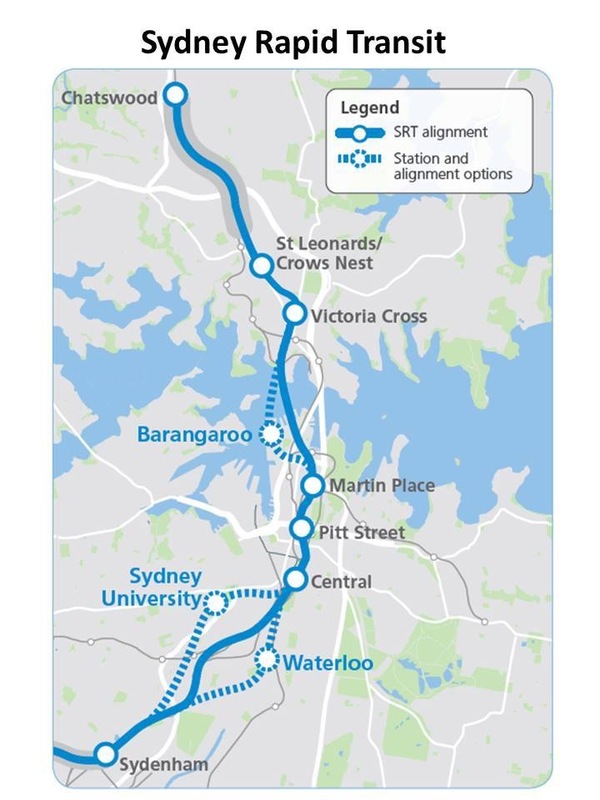 Such a corridor was not news, it was included as one of the 4 corridors for investigation in the 2012 Transport Master Plan. But it now appears that the Government has moved beyond investigation and is actively planning for its eventual construction. 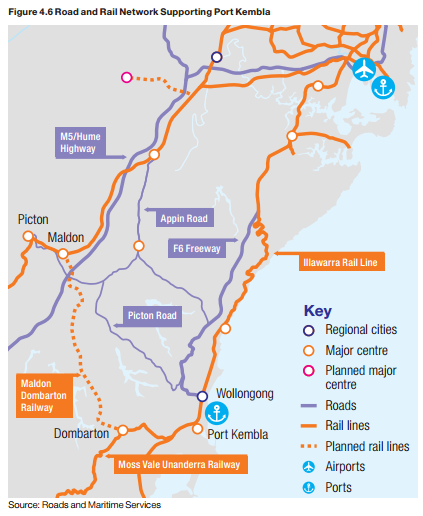 Concerns have been raised about the continued expansion of the freeway network. 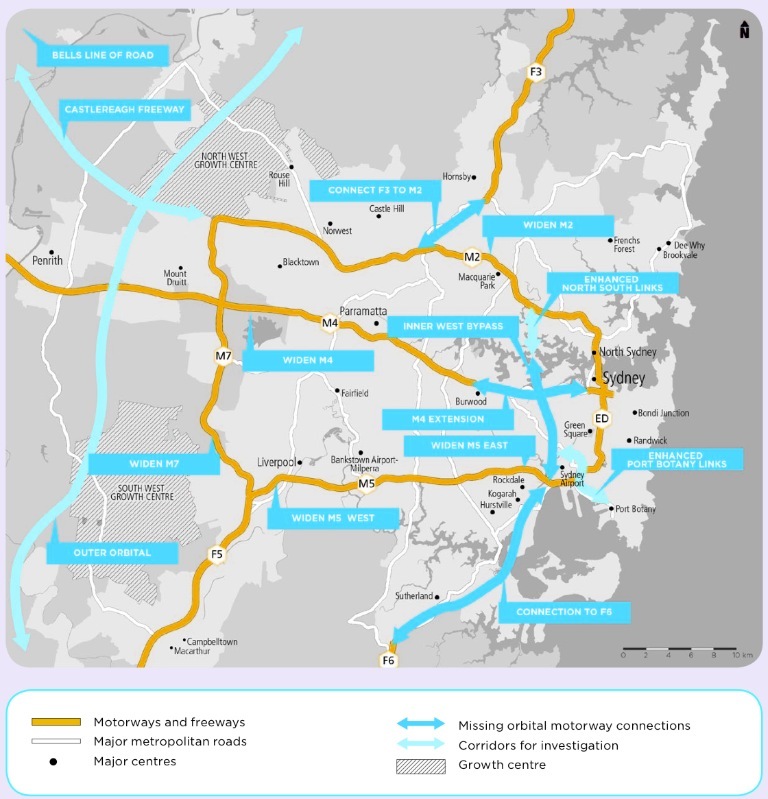 One source reportedly asked “where does WestConnex end” while transport advocacy group Action for Public Transport said the proposal was “bad policy” and that “more roads = more congestion”. Urban planner Lewis Mumford famously said in 1955 that “building more roads to prevent congestion is like a fat man loosening his belt to prevent obesity”. The author of this blog sympathises with these views and believes strongly that a sustained investment in expanding public transport infrastructure should take priority over road infrastructure in Australia’s major cities. Despite that, roads are still needed. While it makes sense to encourage mode share towards public transport and away from cars, there are some trips that are more suited to public transport and other better suited to cars. Trips into the CBD and other major centres or within the dense inner city, for example, are well suited to public transport. This is evident by the high mode share which public transport already has into the CBD (70% of all journeys to work in the 2006 census). In these places, it should be further encouraged through greater investment in public transport, more bus lanes, or even pedestrianisation of streets. However, trips from dispersed and/or low density origins and destinations are much better suited to car transport and here car trips hold a high mode share (85% of all journeys to work in the 2006 census). Consider that a single occupant car is much more sustainable from both a financial and environmental perspective than a bus with a single passenger. In these cases, investment in roads is needed to provide the most efficient mode of transporting people. Too many times ideology clouds what should be a mode-agnostic review. If the best mode for a particular area is rail, then rail is what should be built. If it is walking, then wider footpaths are needed. If it is cars, then more roads should be the solution. Extremist and ideological views, such as opposing all urban freeways or all urban railways, are not helping. Which brings us back to the proposed tunnel. This tunnel, much like Westconnex, does not actually take traffic into the CBD. It acts as a bypass, allowing cars to go from the very dispersed origins and destinations mentioned earlier. It is a ring road which, as this blog outlined last year, is the best kind of road. It allows cars to do what they do best – transporting people and goods to and from dispersed locations; meanwhile it quarantines the CBD for what public transport does best – transporting large numbers of people into a small area. The smart thing to so would be to push for improvements to the proposal, rather than oppose it. For example, this would provide a great opportunity to have bus lanes all the way along the Western Distributor, Anzac Bridge, and Victoria Road. This would be similar to the bus lane that was instated on the Harbour Bridge when the Harbour Tunnel was built. This would go well with the planned urban renewal of the surrounding Bays precinct, which would need additional public transport capacity to support additional development. 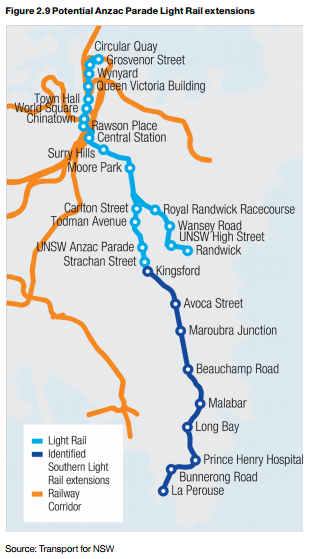 Light rail, either a spur from the existing line to Dulwich Hill or a new line along the Victoria Road corridor, should also be considered. What is not helpful is the idea that this is an either/or situation. Sydney can and should have more road and public transport infrastructure. What matters is not the mode, but whether that mode is appropriate for the purpose.